Felt Disc Sheet - Disc size: 1/2"diam x 1/16"thick. 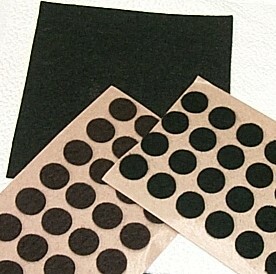 Black adhesive backed felt discs peel easily for any project. 100 pcs per sheet. Felt Disc Sheet- Disc Size: 1/2" diam x 1/8" thick. 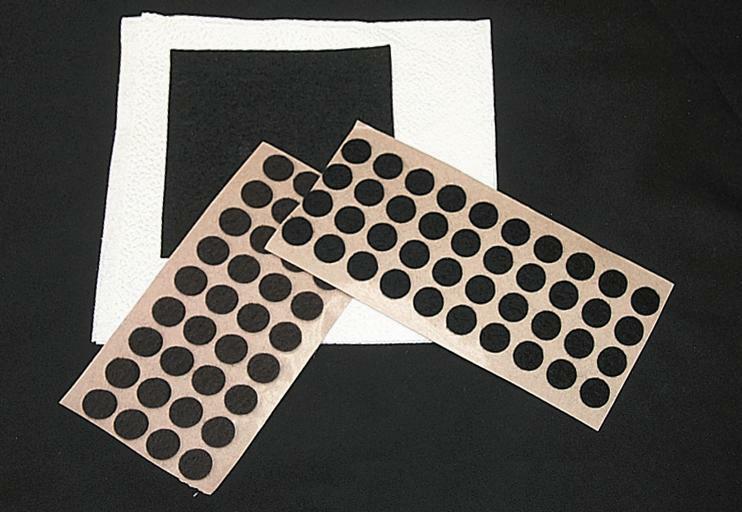 Brown adhesive-backed discs peel easily for any project. 100 discs per sheet. Felt Full Sheet- 9" x 12" x 1/16". Black adhesive backed full sheet can be cut with scissors to any size or shape you desire.